While it will be hard to find, this lone album cut by a young and ambitious (and still romantically attached) Stevie Nicks and Lindsey Buckingham a short two years before joining Fleetwood Mac is well worth digging out for your turntable. There are a few CD versions floating around, but they were no doubt burned from vinyl copies anyway, so don't be fooled. With the Mac's highly lucrative 1997 reunion there was serious talk of a re-release, but apparently it was just talk. 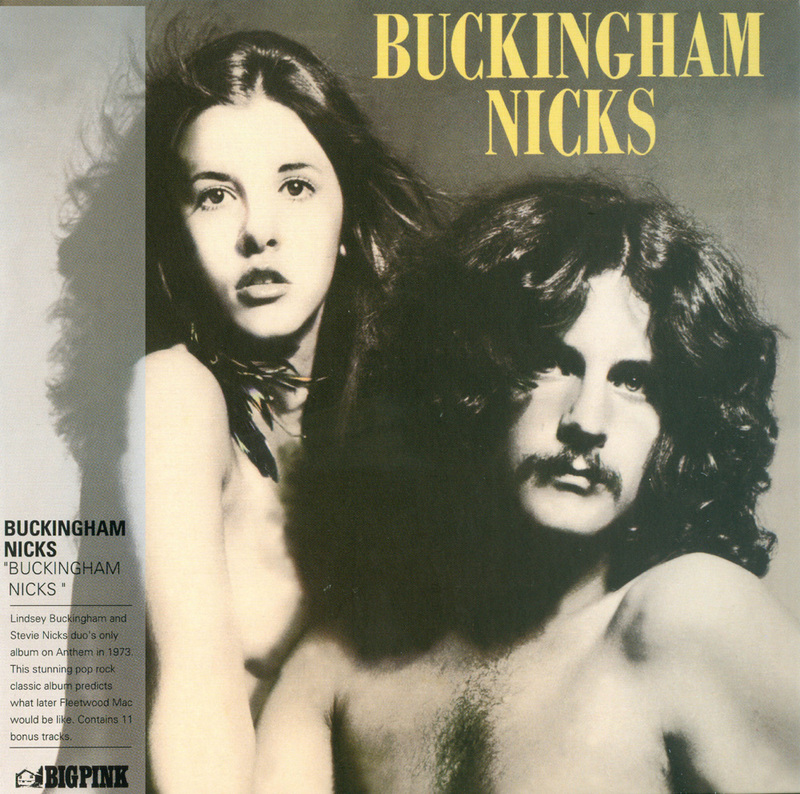 Considering what the duo was to later accomplish, Buckingham Nicks is an engaging listen and served as a proving ground of sorts for both artists' songwriting chops and for Buckingham's skills as an emerging studio craftsman. It was a good enough resumé for Fleetwood Mac, who re-recorded the beautifully cerebral "Crystal" when the duo joined them for 1975's self-titled comeback album. The high-octane rockabilly of "Don't Let Me Down Again" became a staple of the band's concert sets well into the 1980s. Crisp, ringing acoustic guitars and a bottom-heavy rhythm section (using the talents of Waddy Wachtel, Jim Keltner, and Jerry Scheff) framed the pair's songs in a sound something akin to FM-ready folk-rock. Lesser known tracks like the glistening opener, "Crying in the Night," from Nicks and Buckingham's lonely-guy lament, "Without a Leg to Stand On," are on a par with their later mega hits. 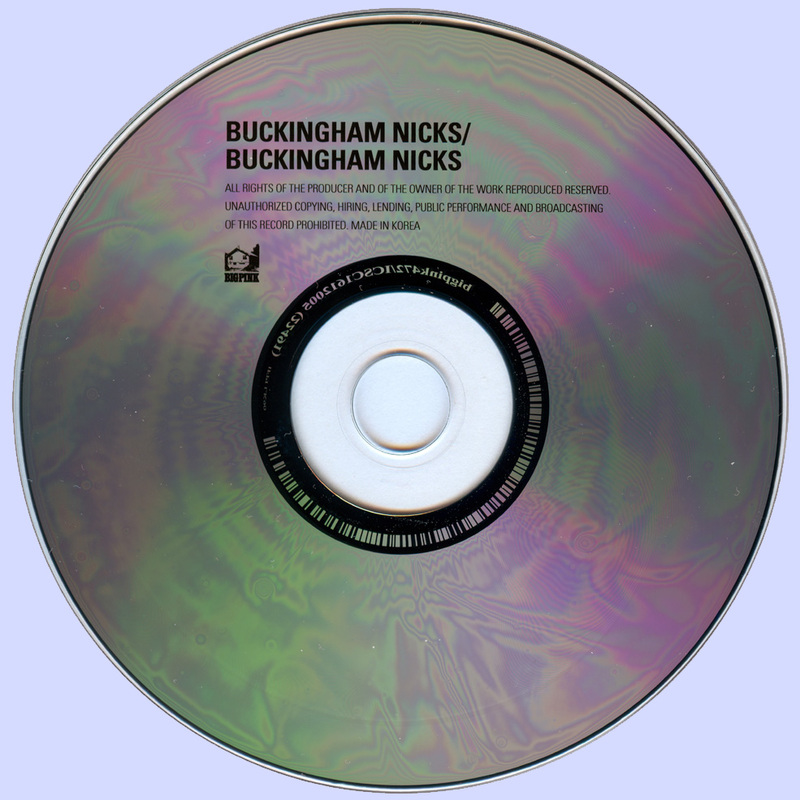 At the same time, the misogyny of Buckingham's "Lola, My Love" is a real eye-roller and the orchestral overtones of "Frozen Love" show that the two were over-reaching themselves just a bit. Buckingham-Nicks was a stiff however and the couple had lost their deal with Polydor. But 1975, of course, proved to be one of their better years. This sounds great! Thanx again!